Instwogram App To Manage Multiple Instagram Accounts: Instagram is a highly popular and trending photo and video sharing app in the current world of social media with almost 80% of the world’s population active on it. Wow! That means number of persons almost greater than 150 million. Now with time life of persons have been divided into two parts; personal and professional and many things are not suitable to be shared with one another. So now comes the major question which every Instagram user is asking. Can I use two Instagram accounts in single phone without logging off and closing an account? Well! the answer is Yessssssss. Want to know how? 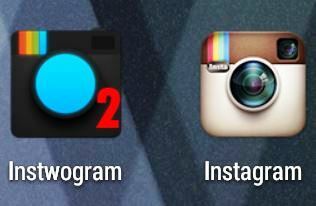 It has been made possible for Android Devices with Instwogram App. This guide will enable the readers to manage/use multiple Instagram accounts on single Android Phone (Android 2.2 or higher) without logging off an account with Instwogram App. Instwogram App is developed by XDA developers to enable Android users to login into their 2nd Instagram account without logging off from the first one. It is a clone application but can be used like an official application. It consists of many features just like the official Instagram application. We can share/download photos and videos from it so it can be easily used as a client for out 2nd Instagram Account. Below mentioned are certain features of Instwogram App which makes it certainly awesome. Also check: Download Parallel Space Multi Accounts App Apk on Android/iOS(iPhone/iPad). Now before explaining anything further readers must be made aware as to what is Instwogram App. Works without Root (If we don’t want to download and apply any add-ons). We can share photos/videos through it. Faster than any other clone application and runs even on slow internet. Location can be shared and captions can be added to photographs. Direct sharing of posts and follow anyone you want to. Rooting is only necessary if we want to use add-ons. This guide will explain steps for employing add-ons also along with download and installation of Instwogram App for running dual Instagram Accounts in Single Android (2.2+) phone without logging off the first account. Want to get paid apps for free on your Android? Check vShare App Apk for Android. 2016/2017 Trick: Two WhatsApp Accounts in One Android/iOS(iPhone/iPad) Working. Following is the installation procedure for Instwogram App. Since it is not available in Google Play Store. So we need to download it from external link. When the Apk file has been successfully downloaded we require to go to Settings -> Security and check on Unknown Sources option. Thereafter install the downloaded Apk on your Android Mobile. After installation has been successfully completed all is needed to login into Instwogram with our 2nd Instagram Account and boom!! It’s done. ♦WhatsApp for PC, Laptop on Windows 10/7/8 or Windows 8.1/XP/Mac Computer. First of all we require to download official Facebook app from Google Play Store. Upload a new picture to Instwogram and share it on Facebook. Congratulations!! Your Instwogram account is successfully connected with Facebook. Interested in watching latest movies and TV Shows? Check Voot Viacom 18 App Apk for Android. Now some of our readers must be interested in downloading add-ons for Instwogram. As mentioned above it requires that the Android device should be rooted and Xposed Framework must be installed for enabling functionality of add-ons. 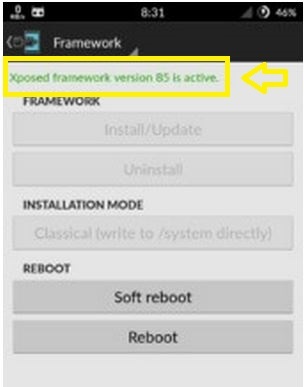 Following part of the guide explains the installation steps of Xposed Framework on a rooted Android Device. Check Out this: Movie HD Apk on Android Mobiles/Tablets|Movie HD App. Android device must be rooted. Flashify helps us to install custom recovery easily without having to perform complex command steps or to use our desktop. But flashify will only work on a rooted android phone. One More Trick: Two Clash of Clans Accounts in One Mobile Phone[Android(HTC, MicroMax, Lenovo, One Plus 2, 3, Samsung, Sony, LG, iOS(iPhone/iPad), Blackberry, Windows Phones & Bada/Java OS Mobiles/Tablets]. First of all we need to download Flashify from the following link for rooted android phones from here:-. Thereafter we need to download the ‘Custom Recovery’ which we need to install. We can get TWRP custom recovery from their website. Click here for that. From the ‘Devices’ section we can select our Android Device and download TWRP version appropriate for our device. Just open the flashify app and give root permissions as it will ask for that upon launching. 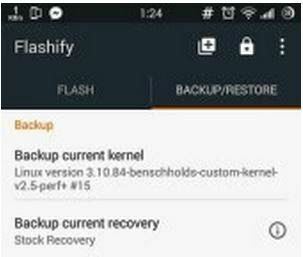 Before doing anything in the interface of flashify app we will see the option Backup/Restore. From this option first we should backup our kernel and recovery file. After backing up we need to select the TWRP installation file which we downloaded from the site. Thereafter flash the file in your device and wait for sometime. Thereafter select the recovery and install it. Now the readers can read forward to get to know steps regarding the installation of Xposed Framework for enabling add-ons for Instwogram App. Online Movies: MovieBox on iOS 10/9.4 or iOS 9.3.3/9.3.2/9.3.1 & iOS 9+ iPhone/iPad. 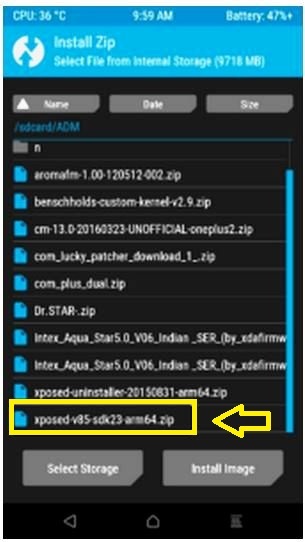 First we need to download Apk file for Xposed which the readers can get from the following link:- http://forum.xda-developers.com/attachment.php?attachmentid=3383776&d=1435601440. Thereafter we require to install Xposed Installer Zip for which we require to check our device’s chipset type which can be checked by downloading ‘Hardware Info’ app from Google Play Store. Link is here:- . After installation of Hardware Info app check the ARM of your device. Following screenshot will be handy. Now since we have checked the ARM type following links can be used to download appropriate Xposed Installer ZIP. After both Apk and appropriate Installer has been downloaded we require to install Xposed Apk on our device and upon launching it we will get a message that Xposed is not active. For activating Xposed we need to restart our device in Custom Recovery mode like CWM or TWRP. 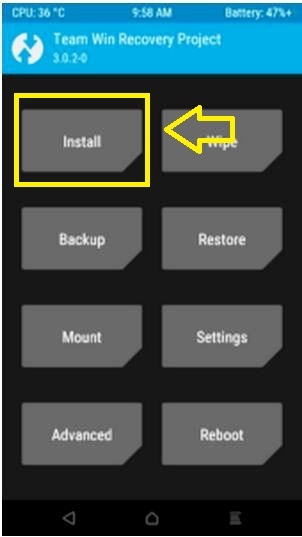 Now from the recovery mode we need to click on ‘Install‘ and select the Xposed Installer ZIP file from the location to which it was downloaded. Select the ZIP file and click on ‘Install Image’. After waiting for few seconds we require to reboot our device and now we can see that Xposed would have become fully active. ♦Do you know how to Install iOS 10 Without Developer Account on iPhone/iPad & iPod Touch. First we require to download Xposed Uninstaller Zip file which according to the ARM architecture we can get from the below links. For ARMx86 Devices: Use below link and paste in your browser to get it. After few minutes we require to reboot our device and this way Xposed will be removed from our device. 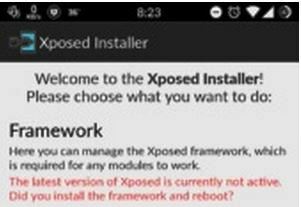 So this was the entire process which will enable the readers to download, install and if facing any issues uninstall Xposed Framework on their Android Device. 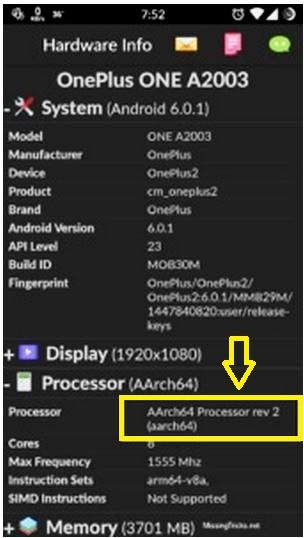 This process will work best on Android Marshmallow. Lost your village in clash of clans? Want to recover it. Click Get Lost Clash of Clans village back. Now all we need is to open Xposed on our rooted Android Device. Restart device for the modules to get activated and for the changes to get applied. That’s it guys and girls. Now just go ahead and install Instwogram App for running dual Instagram Accounts in Single Android phone without logging off the first account. Want to set WhatsApp Profile Picture without cropping? Yes? Click here.